Basil is one of the most popular herbs which we use in cooking. Pronounced "bay-zil" in some countries - such as in the United States - or "bah-zil" in others - such as the United Kingdom - the name is at least spelled the same way in these locales and has the same meaning, which avoids the confusion which often arises around coriander/cilantro. 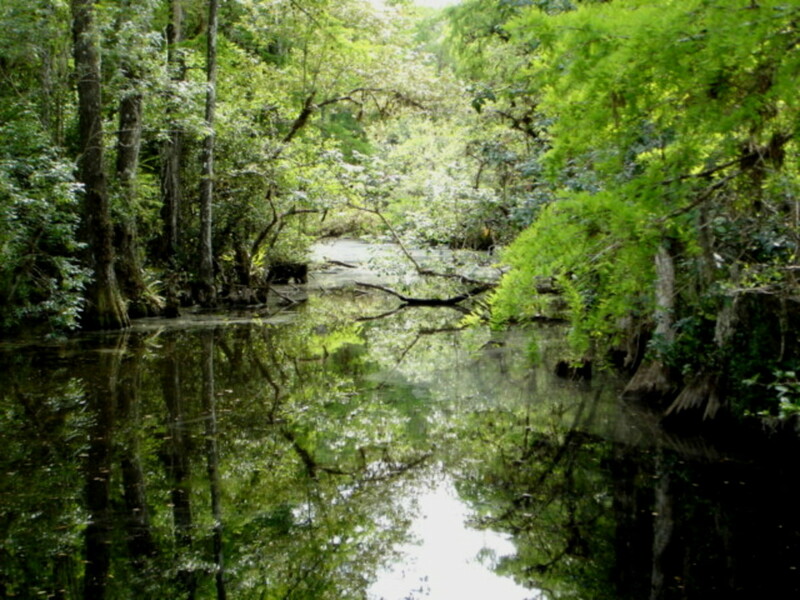 Basil is perhaps most associated with tomatoes and tomato based recipes. The versatility of basil is such, however, that it can not only be incorporated in a great many appetizer or main course dishes but very often, even in desserts. Basil actually goes very well with chocolate and adds a special extra flavour to chocolate based sauces or dishes. There are some who say that basil should always be torn by hand and never chopped with a knife. They believe that this will stop the basil from quickly turning black. The reality, however, is that it is the exposure of the basil juices to the air which causes oxidisation and the herb to turn black if it is cut/torn too soon before being used. It is important not to overchop basil, or indeed any fresh herb. 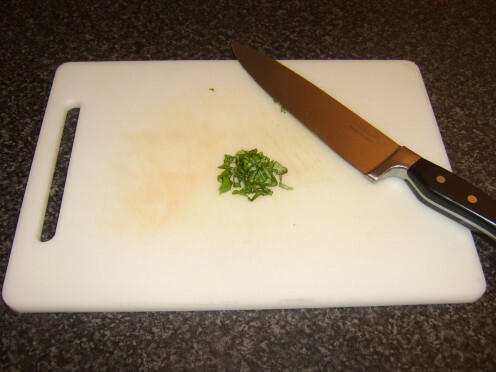 If you chop it to the extent where you see green stains on your chopping board, you have overdone it. What you are seeing on the board is not only the juices of the herb but the majority of the flavour, which you have now lost. Instead, therefore, of slashing away at fresh herbs like a stubbornly overgrown garden hedge, roll or fold the leaves tightly together and cut methodically through each part of the resultant package once. The end result - and ultimate flavour imparted to the dish - will prove infinitely more satisfying. Basil is a herb which is very much associated with Italian and other types of Mediterranean cooking, particularly when it comes to making sauce for pasta. Very often, however, pasta sauces are over complicated by the inclusion of far too many ingredients and the simple, natural flavours of the tomato and basil are overwhelmed. This simple recipe for tomato and basil pasta sauce is one which is both quick and easy to prepare and full of the basic, natural flavours. The olive oil should be added to a saucepan and brought up to a medium heat. The garlic should then be added and stirred around for about a minute to allow it to start releasing its flavours. The tomatoes should then be added and the mixture brought to a very gentle simmer. After ten minutes, the chopped basil should be added and the sauce simmered for a further ten minutes, by which time it should have turned a lush, deep red. It should then be seasoned to taste with salt and freshly ground black pepper. This tomato and basil sauce can be served with a wide variety of pastas. 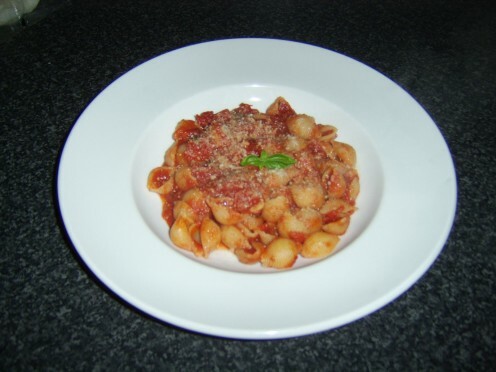 In this instance, I have served it with simple pasta shells, which should be cooked as per the instructions on the pack, drained well and then added to the sauce and stirred around before being plated. 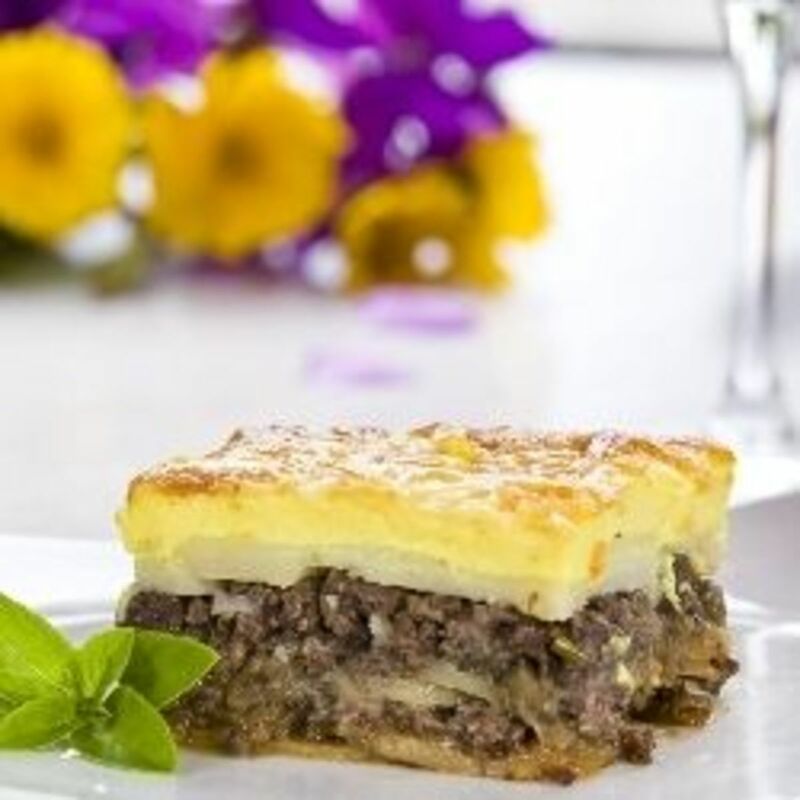 This incredibly simple appetizer is now very popular at home and in restaurants. It can literally be prepared from start to finish in one to two minutes. It is important to use fresh buffalo mozzarella - purchased in water - rather than the dried variety which is more likely to be used in pizza. The mozarella should be sliced at a similar thickness to the tomato and the slices arranged alternately in a circle on a plate. Some freshly torn basil leaves should be scattered on top, before an optional drizzle of some extra virgin olive oil and freshly ground black pepper are added as a finishing touch. Basil is widely available either freshly cut or in growing form from supermarkets and other retail outlets. 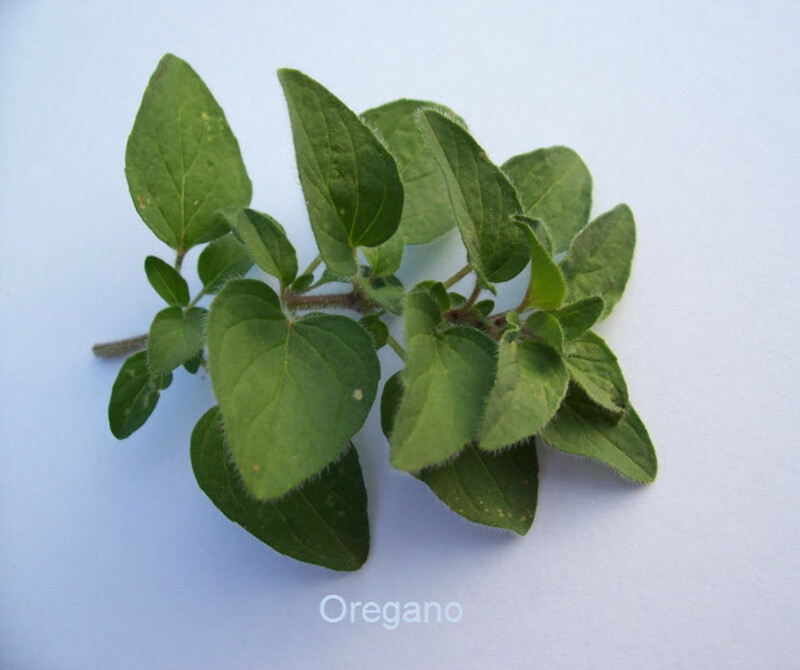 A basil plant such as the one shown at the top of this page can last for weeks or more if it is properly attended to and cared for. Although this means that buying fresh basil is not likely to prove an overly expensive exercise in the long term, growing your own basil plants will considerably reduce the cost even further. How you grow basil will depend upon your climate and the time of year but it can alternately be grown outside, in a greenhouse, or even on a kitchen windowsill that receives plenty of light. 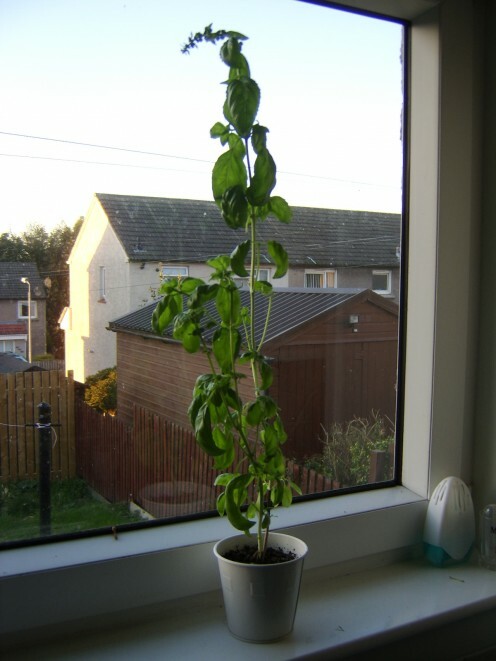 This will also mean that you will have a steady supply of fresh basil and should not need to worry about running out. 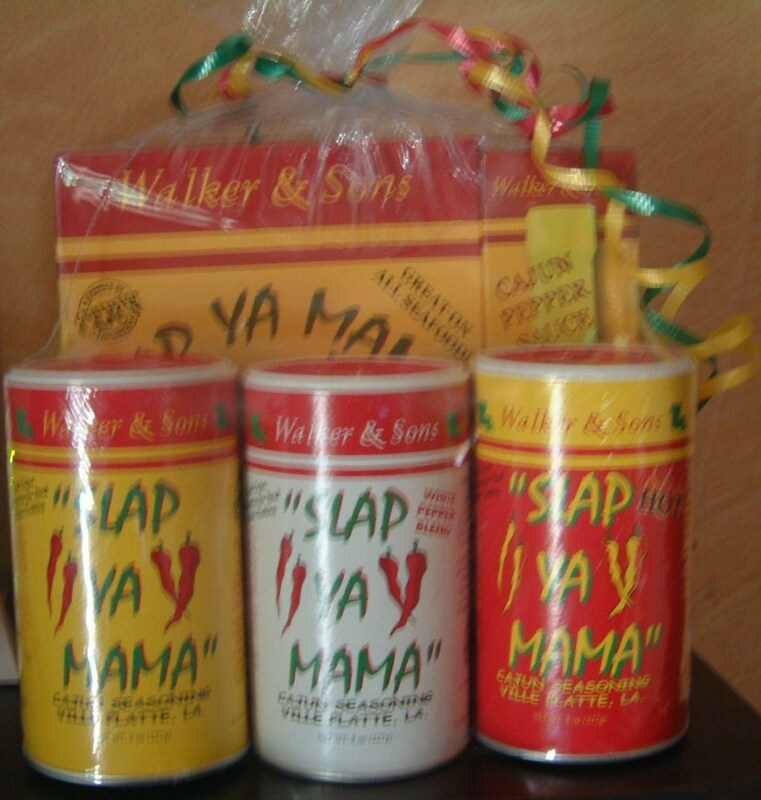 It is often desireable when we are serving rice with any dish that we do something to in some way spice it up. Otherwise, it can be exceptionally bland and spoil the overall effect and presentation. In this rice recipe, the basmati rice (3oz per person) is first washed under running cold water through a sieve, to remove the excess starch. 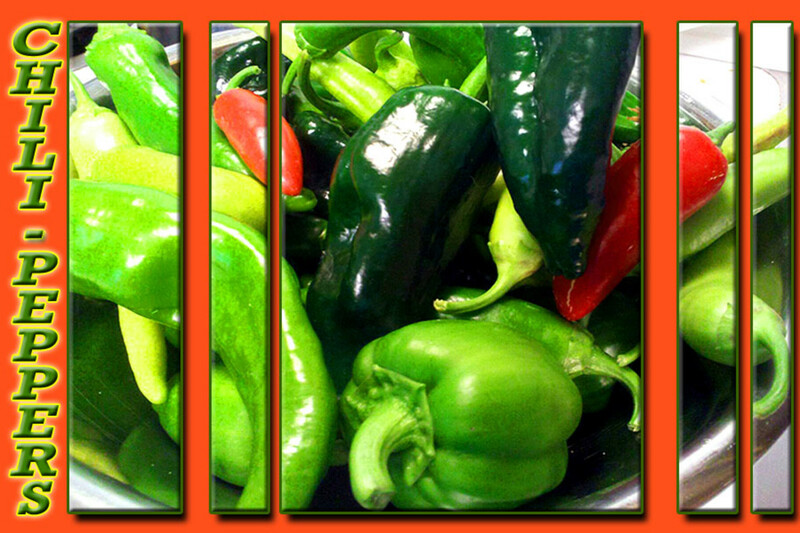 It is then added to a large pot of boiling, salted water and stirred once. After ten to twelve minutes, the rice is drained through the sieve and returned to the empty pot. One grated garlic clove and three chopped basil leaves per portion should then be stirred through the rice. The rice is now ready to serve and plating it up as shown to the right is incredibly simple. Line a small dessert dish with clingfilm, so that the clingfilm considerably overhangs the edges. Pack the rice in tightly before placing the serving dish on top and inverting. 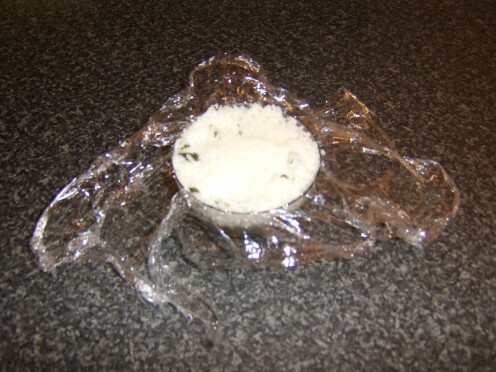 By holding the clingfilm in place with one hand, the dish can be lifted away and the clingfilm then peeled away to leave the rice in a perfect mound. An optional small sprig of basil can be used as a final garnish. 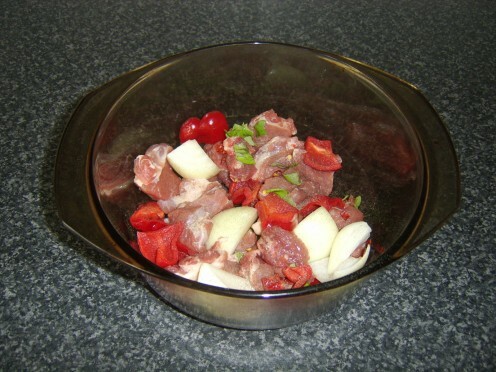 This is a really simple casserole dish which can be quickly prepared, placed in the oven and left to cook unattended. Put the oven on to preheat to 325F/170C/Gas Mark 3. Add all the solid ingredients to a large casserole dish, mix together and season with salt and freshly ground black pepper. Pour in enough boiling water (chicken stock is an alternative option) to comfortably cover all the ingredients and place the lid on the dish. Cook in the oven for one and a half hours, until the pork is cooked and deliciously tender. It is a good idea to remove the dish from the oven at the end of the cooking time and sit it aside for ten to fifteen minutes for the meat to rest prior to serving. 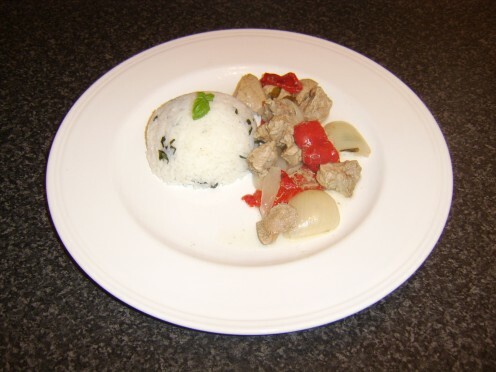 This affords the perfect length of time for making the basil and garlic rice featured above to serve with the casserole. Does Basil go well with Cheese? Absolutely! Basil goes incredibly well with a great many types of cheese. The recipe featured to the right is one which utilised some leftovers from the previous night's dinner to make a very enjoyable lunch! The leftovers were simply spag bol sauce. This recipe calls for the spag bol sauce to firstly be thoroughly reheated in a saucepan. One slice of the bread should then be toasted under an overhead grill. 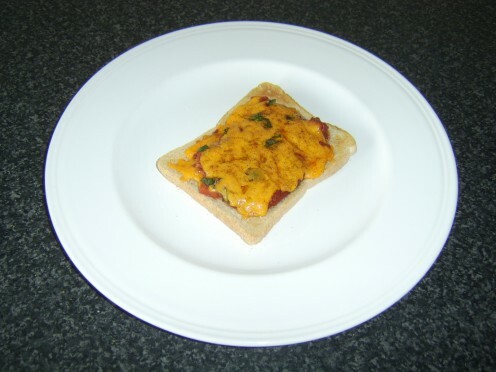 The bread should be turned over and some spag bol sauce spread over the untoasted side. An ounce or two of cheddar cheese should be grated and mixed with some freshly torn basil leaves before being spread over the sauce. Put it back under the grill until the cheese melts and begins to bubble. Serve with an optional sprinkling of freshly ground black pepper. Beef Tenderloin Stuffed with Roasted Peppers, Spinach, and Goat Cheese with Port Wine Sauce Recipe. The title pretty much says it all. It may look long and lengthy, but it's not difficult or time-consuming. What is your favourite use for basil? Thanks you, Victoria. I am often amazed by how so many people don't realise just how truly versatile fresh herbs are and hoped to convey that on this page. I love how simple these recipes are and that they don’t have an excessive amount of ingredients. I can wait to try some of them. Think I will try the ‘Tomato and Basil Sauce for Pasta’ first. 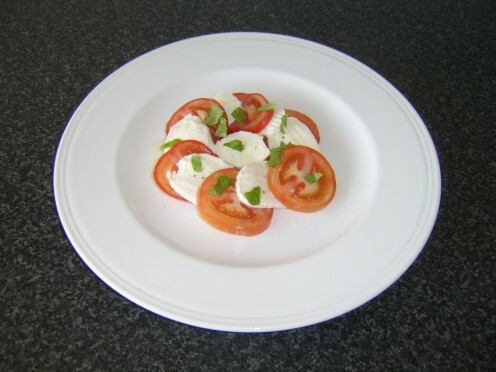 The ‘Tomato, Basil and Mozzarella Cheese Appetizer’ looks like it would be a great plate for a party or get together. Thank you France Travel Inf. I always have fresh basil available and will include more recipes on here over the next week or two. Thanks for your visit and I hope you enjoy the recipes. This is great! I love cooking with basil and am always looking for new ways to use it. 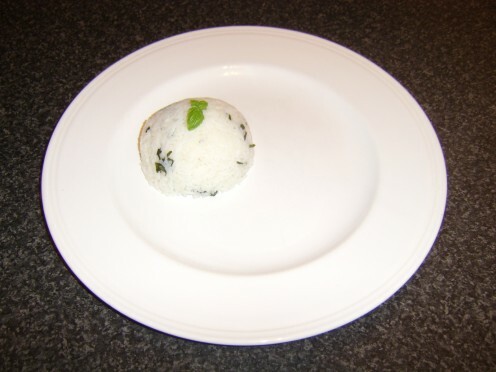 The basmati rice looks especially nice.